is required in order to achieve such objectives on international markets. This represents quite a challenge – particularly as quality and continuity also need to be maintained. And there is also the issue of probability of damage occurrence in connection with a failure or breakdown. Your own “four walls” do not represent the decisive standard here so you need to extend your horizons and give realistic consideration to the locations, transport routes, economic and legal systems of all cross-linked enterprises. The probability of damage spreading also multiplies in this context, bottlenecks lead to delays and possibly also to delisting. Assessing risk factors at one’s own production locations is indeed a significant challenge in itself. In connection with suppliers and sales partners, however, it requires clear entrepreneurial focus at managerial level. 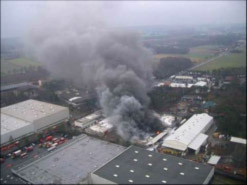 Example: An upstream supplier of one of our customers was unable to supply goods due to fire damage. Alternative cover purchases were available but significantly more expensive, an interruption to operations could be prevented, the additional costs were covered by the insurer (risk exists?). 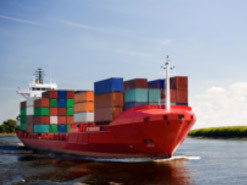 Example: A supplier from South Africa makes a mistake in shipping goods intended for a German customer and the “returned goods” turn up a few weeks later at a customs warehouse in Mexico. The major supplier had been certified – but not the various carriers. The following issues should be discussed at managerial level. Who identifies the following risks in the company: loan defaults, breaches of security, frequency of maintenance work, potential contractual liability in connection with purchasing or selling, price fluctuations. Who knows the procurement market and who is familiar with the customer base? Who directs the insurance programme and has a clear overview? Does this person act as the point of contact for collection and coordination? Credit rating assessments of main suppliers. Knowledge of the natural disaster potential of direct suppliers. Confirmation of insurance – property insurances verify insurability. Coverage amounts – personal injury, material damage and financial losses reflect the specific degree of risk awareness. With controlled processes in companies risks become transparent and measures can be taken. The risk situation is improved as a result. Eubronet - European Brokers Network - is a partnership between insurance brokers based in several European countries, including a collaboration with a USA-based broker. The purpose of the network is for insurance brokers to offer their clients the highest quality service in relation to international business and international risks. Eubronet enables customers to connect to insurance experts who have a specific knowledge of the legal requirements and needs within their own market. Eubronet offers an international, personal service in all countries in which Eubronet partners are located. Eubronet brokerage services are also available in other markets in which customers conduct business or have conducted business in the past, or for professional reasons, such as Africa, the Middle East, South America, Australia and the Far East. Eubronet exists 25 years! 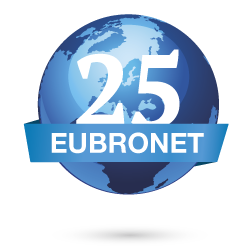 A wonderful milestone, 25 years the Eubronet insurancebrokers are serving customers who do business and have risks beyond its own borders.